Why, hello there. Thanks for joining me today. Okay, now I sound like a tour guide on a cruise ship. WHICH I’M NOT. But I will guide you through the preparation of this very delicious vegan banana loaf today, how exciting. I have kind of a complicated “relationship” with bananas. I don’t like them enough to eat one whole banana, just like that, as a snack. Nope. Don’t understand how people can actually do that. I do however like eating them (cut into small pieces) as a topping on smoothie-bowls or porridge – AS LONG AS the banana isn’t ripe. Yes. The banana needs to be greenish/light yellow. 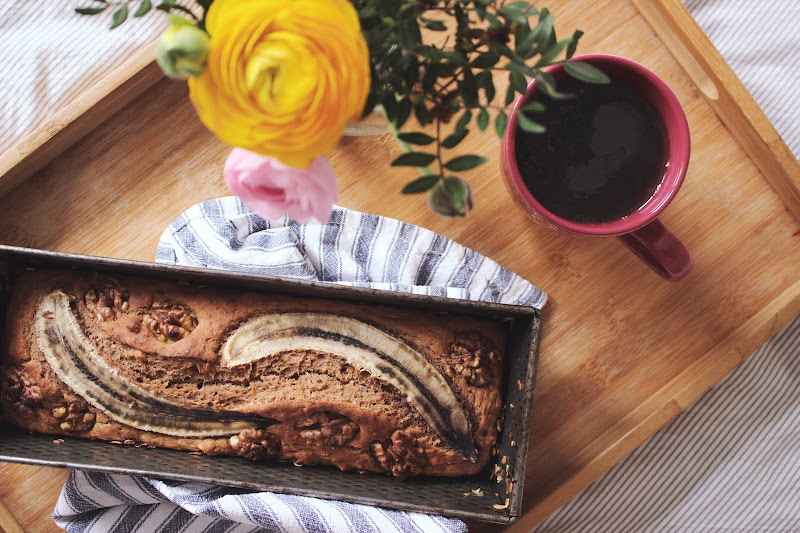 As soon it gets slightly brown and soft and, well, ripe – I don’t want to eat it anymore. So, whenever I find ~ very ripe ~ bananas in our fruit bowl, they'll either end up in a smoothie or in banana bread. 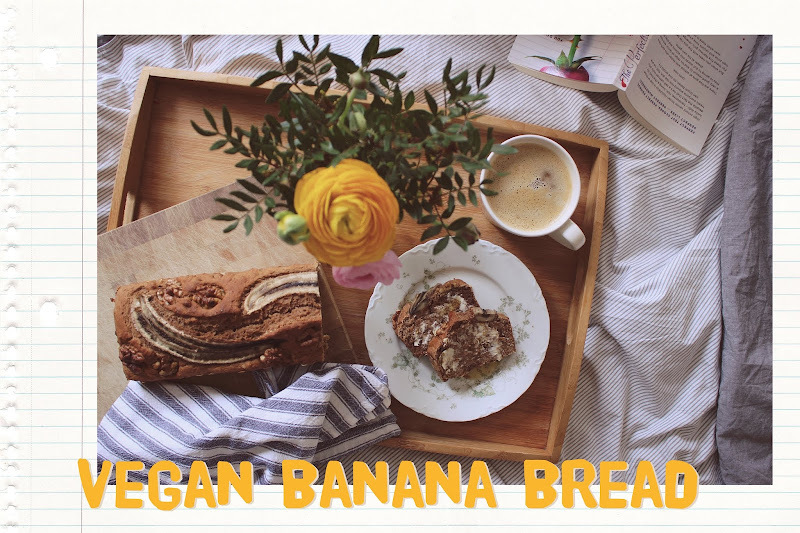 I shared a banana bread recipe a few years ago already, but I wanted to try something a bit different and make some changes, so here is my new and improved vegan banana bread. 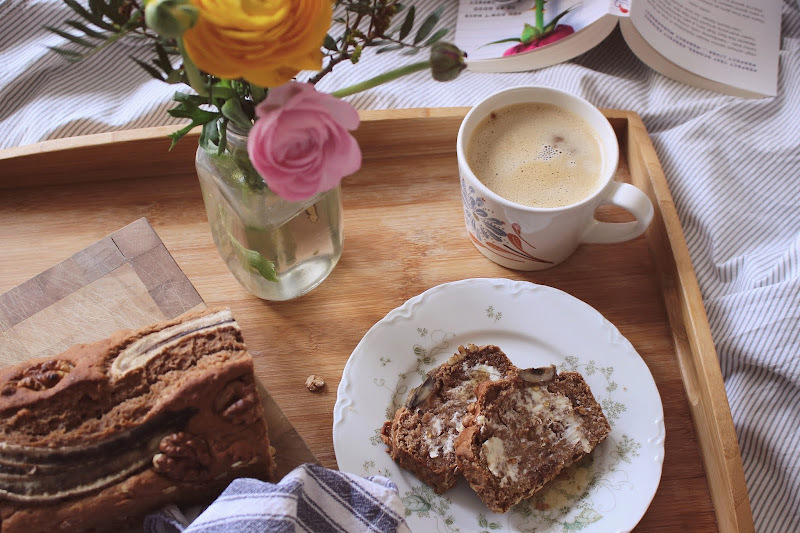 # 1 Preheat your oven to 180°C and grease your baking tray with coconut oil. # 2 Heat up a frying pan and some coconut oil and roast your walnuts from all sides for approximately 5 minutes. 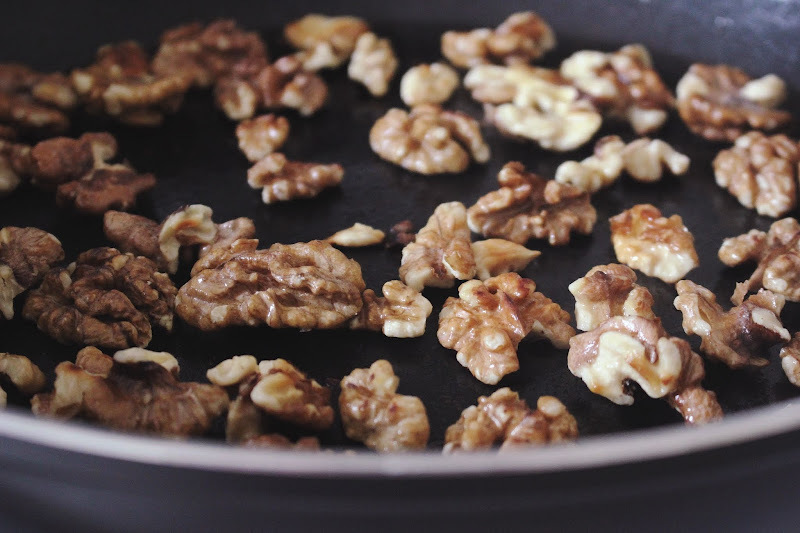 Take the walnuts out of the pan and put them aside/let them cool off. 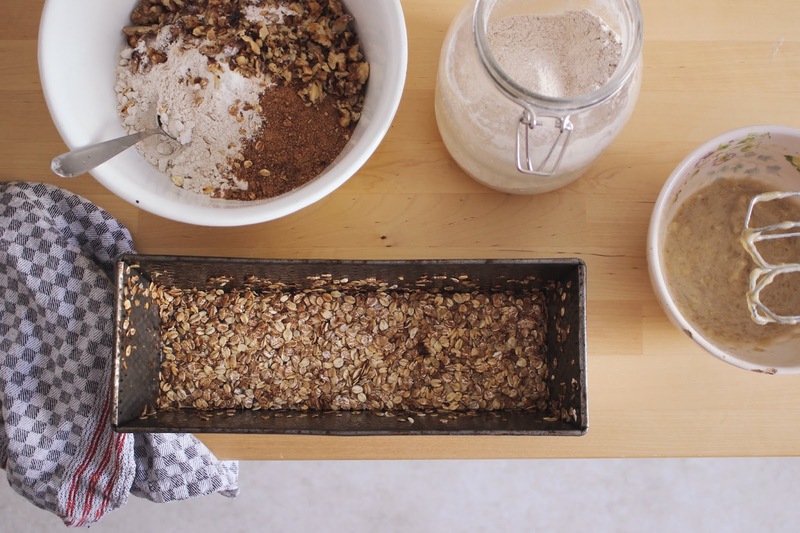 # 3 In the same pan, roast your rolled oats from both sides for a few minutes and then spread them as evenly as possible on the greased ground and sides of your loaf pan. 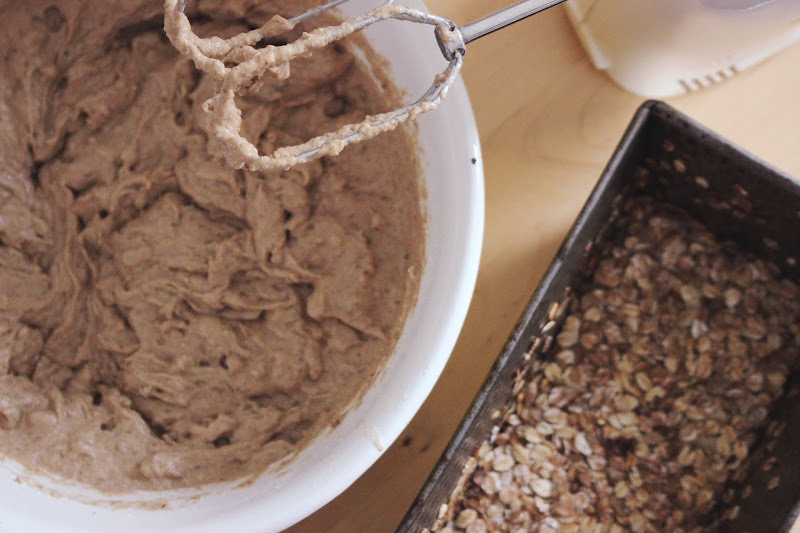 You can totally skip this step and just use baking paper to line your pan, but I find the roasted oats give a good taste. # 4 Put a few whole walnuts aside and chop the rest of them in chunks. 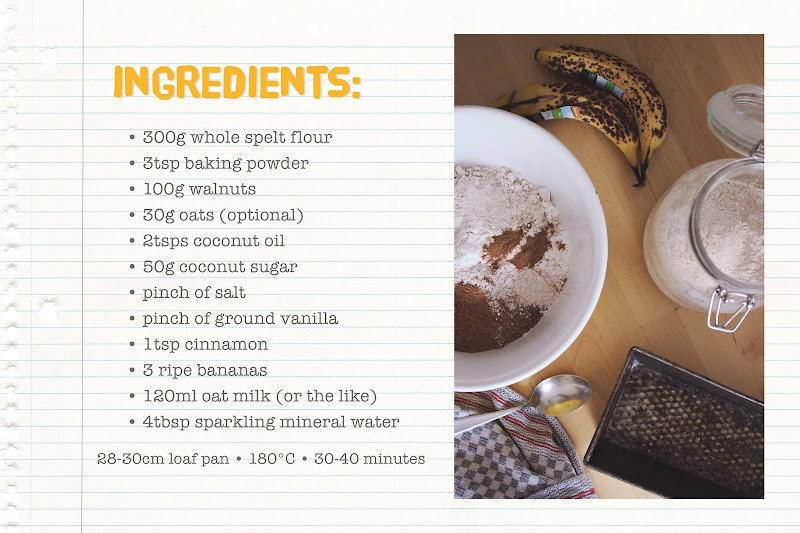 # 5 Mix together all of your dry ingredients – flour, baking powder, chopped walnuts, sugar, vanilla, cinnamon and salt. 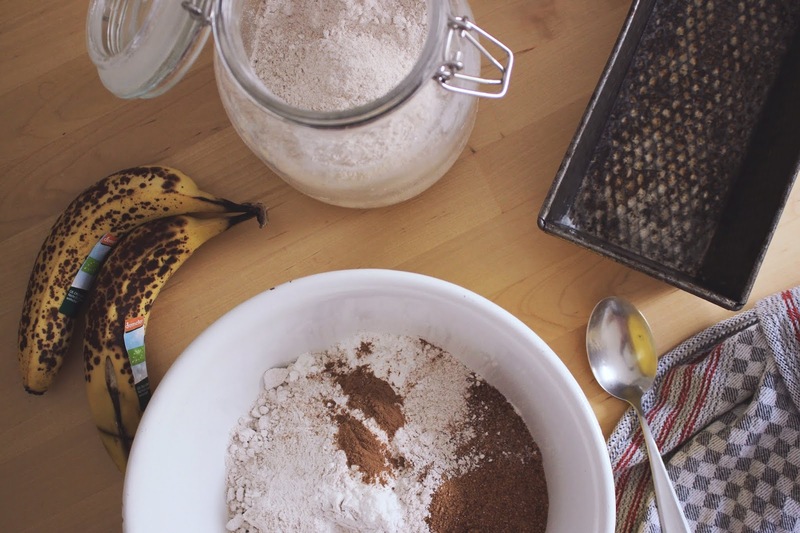 # 7 Now mix all the ingredients – wet and dry – together and put the dough in your prepared loaf pan. 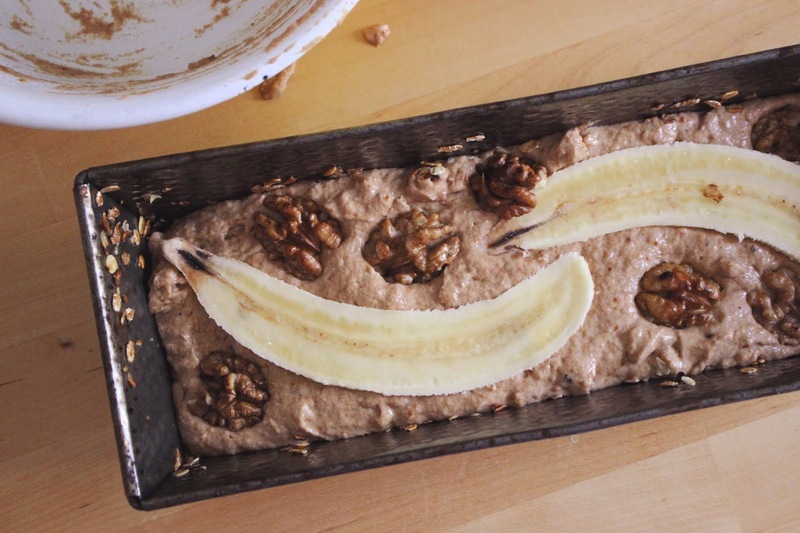 Cut the remaining banana in half (lengthways) and put it on top of your dough. 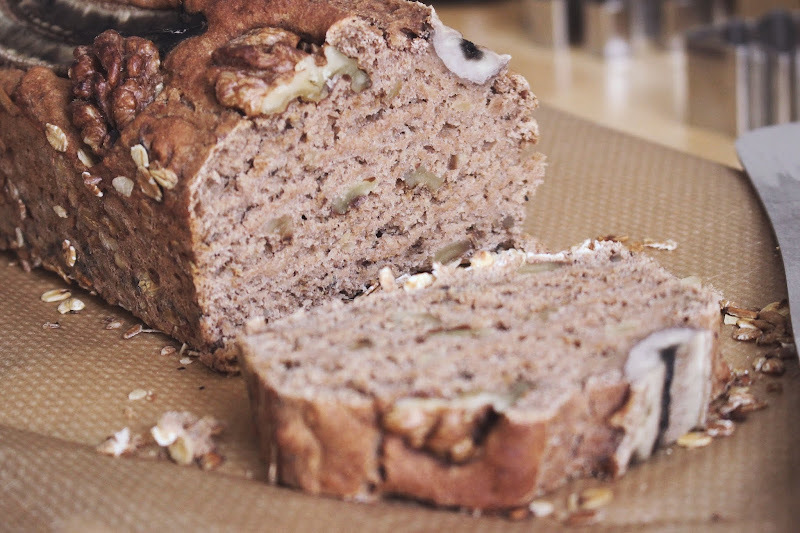 Also put the roasted walnuts you still have left wherever there’s room on your loaf.